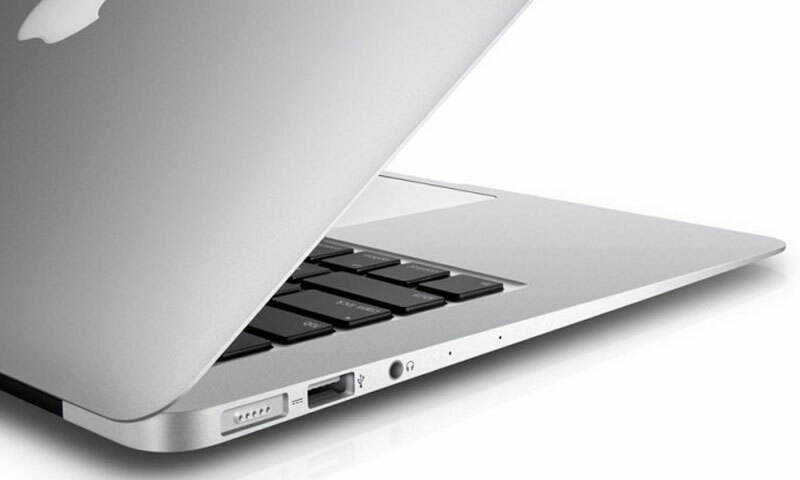 Apple’s next Macbook is 24 percent thinner than a MacBook Air, and weighs just 2 pounds. The company is just calling it the MacBook. The notebook has a 12 inch 2304 x 1440 pixel “Retina” display with edge-to-edge glass. The new MacBook measure 13.1mm (0.5 inches) thick, features a unibody all-metal case, and a fanless design, making this the first MacBook without a fan. The system is powered by a 5 watt Intel Core M processor and features a logic board that’s 67 percent smaller than any the company has used to date. The company says it used the extra space in the case to fit sheet-style batteries to offer up to 9 hours of battery life while surfing the web over WiFI. There’s also a new backlit keyboard which is also edge-to-edge and slimmer than a typical keyboard thanks to a new “butterfly” mechanism behind each key. There’s also a new Force Click trackpad with a glass surface, but support for tactile feedback and an adjustable click feel. The new MacBook features 802.11ac WiFi and Bluetooth 4.0 — but what it doesn’t have are a lot of ports. In fact, there are just two: one for your headphones, and a single USB-C port that works for power, DisplayPort, VGA, HDMI. It uses a reversible USB-C connector. Want to charge your laptop and connect your monitor, mouse, or other device at the same time? You’ll need a $79 adapter (or a wireless display adapter, mouse, etc). The laptop will be available in silver, grey, or gold colors. The MacBook has a starting price of $1299 for a model with a 1.1 GHz processor, 8GB of RAM, and 256GB of solid state storage. It will launch April 10th. A $1599 model is also available with a faster 1.2 GHz processor and 512GB of storage. Apple will continue to offer MacBook and MacBook Air models for folks who want more power than you can get from Core M processor. The company is also updating the MacBook Air and MacBook Pro starting today — each family will now ship with 5th-gen Intel Core i5 or Core i7 Broadwell chips. The 13 inch models also get flash storage that’s twice as fast, the MacBook Pro 13 inch gets an extra hour of battery life (for a total of 10) and also gets the new Force TrackPad.